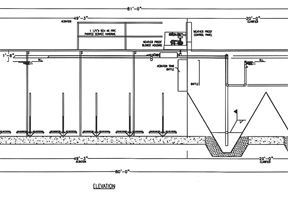 Wastewater treatment requires a deep understanding of mechanical, electrical, structural, and chemical engineering, as well as a thorough knowledge of the latest technologies. At Ecologix, our expert team of engineers is continually developing new technologies while consistently delivering custom solutions built on founded treatment practices. All our designs include full equipment documentation and operations manuals to ensure problem free installation and deployment. In addition to full service custom controls we can also build control panels to your specifications, from your supplied drawings, using industry standard parts or those to meet your design stipulations. Ecologix designs and manufactures a wide range of control panels for variety of engineering sectors, including water, natural gas, petrochemical, railway, marine, food and beverage and manufacturing.